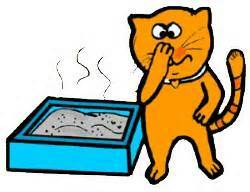 There’s nothing worse than walking into a room and getting the distinct stench of your cat’s litter box. Immediately you know that something is seriously amiss. 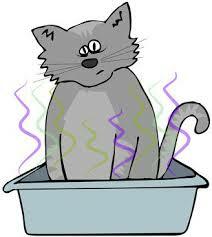 When a cat has diarrhea, everyone in the house knows it. Finding out the reason is the hardest part. Cats get loose stool for a variety of reasons. One of the reasons is a change in their diet. If you are using a commercial dry or canned cat food and have not changed the brand, perhaps the manufacturer changed the ingredients in the food. Cats are very sensitive to these changes and sometimes require a period of adjustment to the new formula. 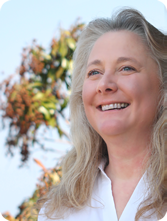 Diets and treats that contain too many carbohydrates or fillers can also have this effect. Many inexpensive foods use flavor enhancers to make the food more palatable to the cat. These types of ingredients are sometimes poorly utilized by the cat’s body and can cause loose stool. Is your cat a hunter? Even though a mouse is the best meal for a cat, it can harbor parasites that can transfer to your cat when he is enjoying his prize. These parasites can also be the cause of loose stool. Providing your vet with a stool sample can rule out this potential threat. Cats have the ability to manifest physical symptoms while under stress. Many people don’t think that their cats can be stressed out, after all, how much does he really need to do? Eat, sleep, & poop? The type of stress that effect cats are: Changes in the environment. Did you add a new animal or human to the household? Did you buy a new couch? Did you change where the litter box is located? Or even change the type or brand of litter? Is there hostility in the house from domestic situations? All these and more are considered stressors to the average cat. Frequent travelling is another factor. Is your cat left under the care of a pet sitter frequently? Do you travel with your cat? Cats are very reluctant to change. They like things to stay status quo. These are just some of the examples of the kind of stressors that might have an effect on your cat’s bowel habits. Stress also causes inflammation. Irritable bowel syndrome is a condition that develops when constant inflammation is present. In order to reduce the inflammation the stressors have to be eliminated. The diet has to be addressed to eliminate any aspects that will contribute to the inflammation as well. In my experience, cats that are fed a raw food diet rarely have digestive issues. Supplements like slippery elm or marshmallow root help soothe the lining of the intestinal tract to help it heal. Probiotics are also very beneficial. They help to repopulate the micro flora in the intestines so the cat can process its food more efficiently. By addressing all aspects of your cats lifestyle and making changes where needed can help to eliminate the horrible experience of your cat’s intestinal distress.